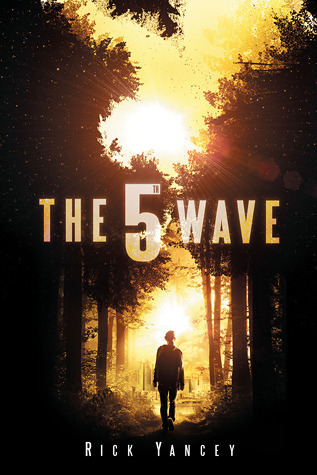 The 5th Wave by Rick Yancey was released with a tremendous amount of hype. 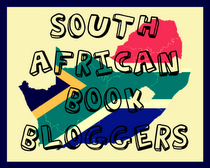 For months you couldn’t visit book blogs or YouTube without spotting it in book hauls or seeing rave reviews. It was billed as the ‘most anticipated YA novel of the year’, the ‘Next Big Thing’, the ‘next Hunger Games’... Those are tough shoes to fill and while I’m sure all the marketing led to increased sales, it also makes it incredibly difficult for the novel to live up to the hype and expectations. Hype is a two-sided sword. I wanted to love The 5th Wave, I really did. The premise was brilliant, the grim, unsettling post-apocalyptic world made for a great setting and all the characters were memorable and engaging, but something felt wrong. Initially I couldn’t quite figure out what the problem was and then it hit me, things felt too contrived. It was as if Yancey knew exactly where the story had to go, and forced the characters and events to conform to that idea even if it didn’t really make sense or feel like a natural turn of events. By their very nature every novel is contrived, but when it’s done right you never notice it. The characters, their choices and the world they inhabit needs to feel natural; it has to have consistency and more importantly it has to make sense. And that’s where The 5th Wave falters. Behind the veneer of a brilliant, fast-paced story lurks a world full of logical inconsistencies. Once you spot them you can’t help chipping away, noticing more and more as the story progresses. It’s like a bad magic show where the sleight-of-hand is just slow enough to follow and where you can spot the squirming dove long before it’s eventually released. The main protagonist Cassie is a feisty, snarky, independent sixteen-year-old girl who has lost most of her family. She’s caught in a desperate struggle to survive while trying to find her little brother. She can’t afford to trust anyone since the aliens are masquerading as humans, yet when she meets Evan Walker, a saviour appearing seemingly at random, she fawns over him throwing all caution to the wind in what must be one of the most awkward insta-love romances I’ve come across. What happened to the tough Cassie that could look after herself? The Cassie who killed someone when she didn’t know what he was reaching for? It seems a romantic relationship is a prerequisite for every YA novel so it had to be added, despite the fact that it goes against everything you would expect from the character, diminishing them in the process. Heck, towards the end there’s even foreshadowing for a possible love triangle. Another one of those required YA tropes. It was at this point that I lost all respect for Cassie. Luckily Zombie and his squad of misfit soldiers kept things interesting enough to keep going. It’s telling when you care far more about the secondary characters than the main protagonist. My biggest problem with The 5th Wave is that the aliens seem to be complete idiots. Explaining why would involve spoilers, so I’ll elaborate more in a separate section after the verdict and rating. The plot has some interesting twists and turns, but most of them where predictable and didn’t come as much of a surprise. The ending is satisfying, but quite abrupt and it’s clear that this is the first novel in a trilogy. Despite all the issues I’ve had with the novel I’d be interested to see where Yancey goes next. Hopefully it can only get better. The 5th Wave has a great premise, good writing, and memorable characters but it ultimately disappoints by sticking to YA tropes. The plot is full of logical inconsistencies and after a brilliant start the actions of the Others just doesn't make much sense aside from being what the story demanded to happen. If you are new to sci-fi this might satisfy, but people more familiar with the genre will find the inconsistencies irksome. The 5th Wave is still an enjoyable read, but it could have been so much better if Yancey took more care in developing the aliens and their motives. I picked up lots of inconsistencies in the 5th Wave, most of these are things that just didn’t make much sense. Then again I might be too old and jaded to enjoy YA. Why is Cassie not allowed on the bus? When the army comes to collect the children from camp Ashpit they only take Sammy. Cassie is sixteen (p 79) and Zombie, Ben Parish, is seventeen (p 105). They allow Ben to join Camp Haven even though he is infected with the disease and a year older than Cassie. It can’t be her age or gender since other girls are allowed in Camp Haven. Being healthy Cassie would be a much better prospect for recruitment. The 5th Wave makes no sense. The actual wave, not the novel. Why would the aliens take all the time and effort to indoctrinate and train children so they can go out and hunt their fellow humans? The drones and Silencers would be far more efficient and take much less time. Not to mention that it wouldn’t allow for a newly trained human army to rise up against you. The aliens are pure consciousness. Why would they need to take over the planet? They don’t need food or other resources so what is the whole purpose of the invasion? The aliens put a mission critical base within easy reach. What happens when all the humans are killed? What will they do once they win? They don’t have bodies so how will they inhabit the Earth when all the humans are killed? They’ve been watching humanity for thousands of years. Why not eradicate primitive man when there are far fewer of us, we don’t have any technology to fight back with and we haven’t had a chance to devastate the environment. Why wait till it becomes more difficult to eradicate us? If you've read The 5th Wave I'd love to hear what you thought. Feel free to leave a comment below. 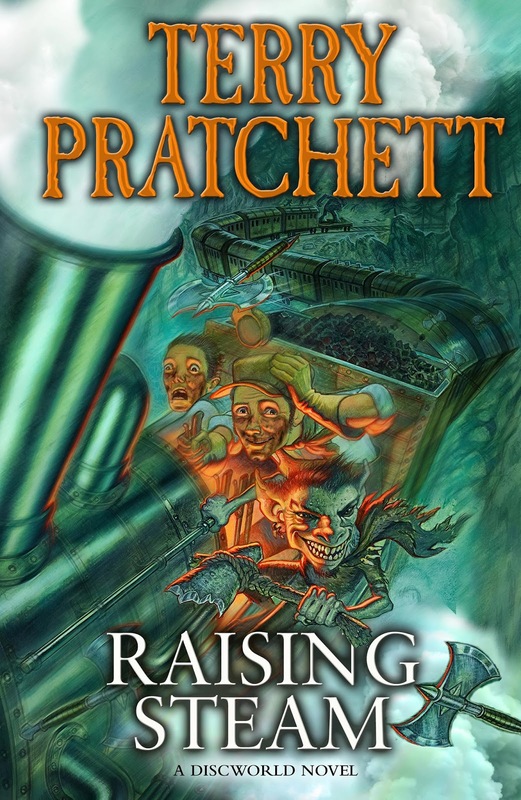 The cover for Raising Steam, the 40th Discworld novel, has been unveiled. The very brief synopsis doesn't give much away, but it seems that Moist von Lipwig will make a triumphant return. I can only imagine the mayhem the introduction of locomotives to the Discworld might bring. Change is afoot in Ankh-Morpork - Discworld's first steam engine has arrived, and once again Moist von Lipwig finds himself with a new and challenging job. Jane Silverlake lives with her father in a crumbling family estate on the edge of Hampstead Heath. Jane has a secret—an unexplainable and frightening gift that allows her to see the souls of man-made objects—and this talent isolates her from the outside world. She finds solace in her only companions, Madeline and Nathan, but as the friends come of age, their idyll is shattered by jealousies and by Nathan’s interest in a cult led by Ariston Day, a charismatic mystic popular with London’s elite. After getting lost in the world of the Song of Ice and Fire series by George R.R. Martin for the last couple of weeks I needed a change of pace (or at the very least a story where fewer of my favourite characters meet a gruesome end). The premise of The White Forest by Adam McOmber sounded intriguing and I’m glad that I put my reservations about the historical setting aside, because it ended up being a wonderfully weird read. Set in Victorian era London it tells the story of three friends Jane Silverlake, Madeline Lee and Nathan Ashe and how their friendship spirals out of control when Jane shares her gift, the ability to hear the souls of man-made objects, with them. Nathan becomes obsessed with Jane’s gift leading him into the clutches of Ariston Day, the leader of an enigmatic cult. When Nathan disappears Jane and Maddy must unravel what happened to him, in doing so Jane discovers astounding truths about herself and her ability; truths that will irrevocably change the lives of the three companions forever. The White Forest is beautifully written. McOmber has a knack for imagery that brings both the characters and the landscape to vivid life. The characters are all compelling, each flawed in their own way. The narrative is laced with touches of the otherworldly, a blend of occultism, spiritualism and mythology, that becomes more and more apparent as the story unfolds, culminating in a startling surreal revelation that you’ll have to experience for yourself to appreciate. The pacing in The White Forest is both its greatest asset and biggest downfall. The story unfolds very slowly as Jane and Maddy investigate Nathan’s disappearance. This slow progression manages to convey the much more sedate Victorian lifestyle, but can become irritating at times. It’s only in the last third of the novel where things really pick up as the story rushes to its fantastical conclusion. Aside from the issue I had with the pacing I really enjoyed The White Forest. It’s not often that you come across a story that can surprise you by being nothing like you expected it to be. And I mean that in the best possible way. The White Forest is a beautifully written genre-bending Gothic tale which entwines the mundane world with the otherworldly. What starts out as a simple mystery soon turns into something far more startling and fantastical. The pacing is slow at times, but the wonderfully weird ending makes it well worth the effort. If you are looking for something different, something dark, surreal and unique, then The White Forest might be just the thing.